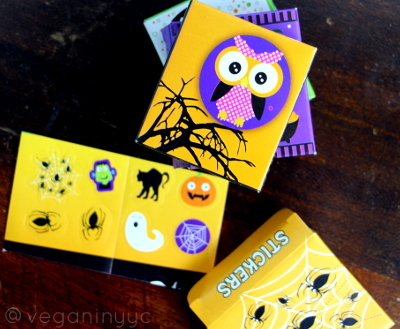 Vegan Halloween goodies are as close as your nearest grocery or dollar store. Read on for cheap and easy Halloween treat ideas. There are plenty of vegan, allergen friendly snacks available everywhere; no need to go to a specialty store either. 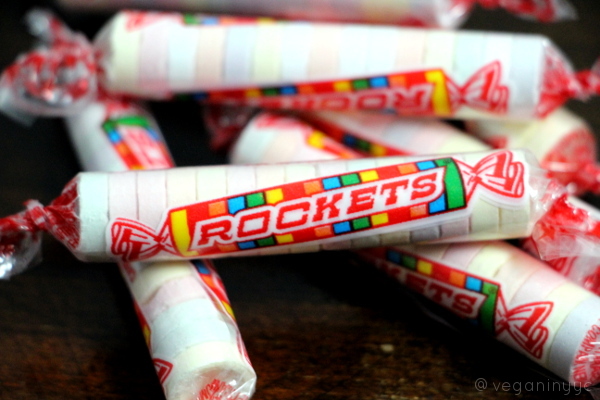 Look for Rockets, Pop Fizz, lollipops and Maynards candies. Plain potato chips and pretzels are great vegan-friendly salty snacks. 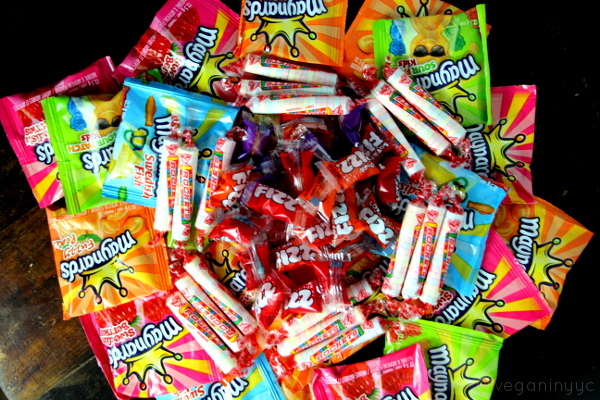 But you don’t have to hand out candy; non-food items are becoming increasingly more popular. 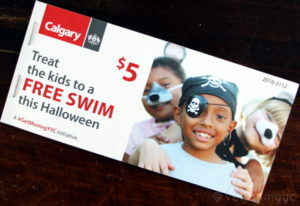 This year, you can treat kids to a swim by handing out [swim coupons] for City of Calgary Recreation Centers. 10 coupons are only $5, and booklets are available at many locations throughout the city. Click [here] for more info. 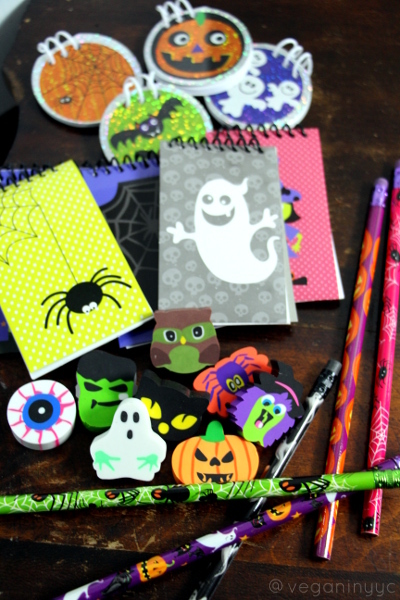 More great substitutes for sugar include erasers, pencils, stickers, notebooks, and other small items. You can find these items packaged together in places like Dollarama and the $1 section in craft stores like Michaels.